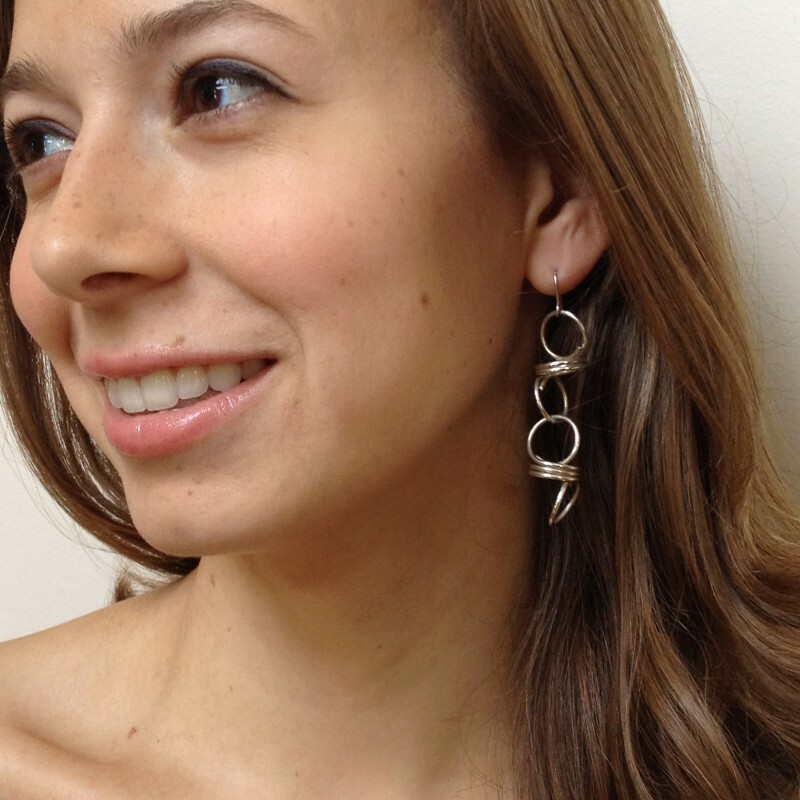 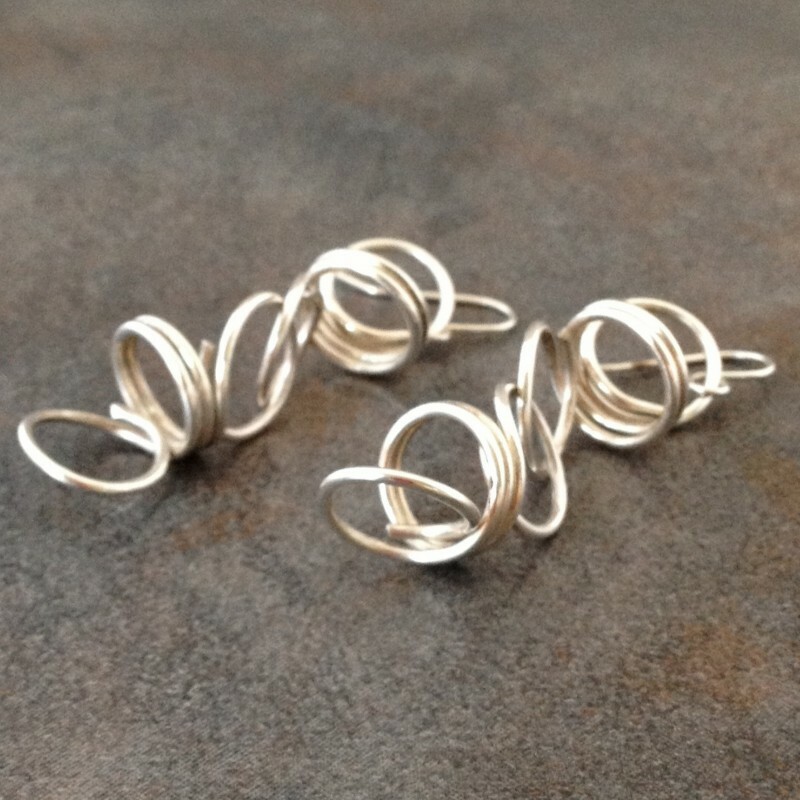 Spirals of sterling silver are interlocking to form earrings that move gracefully. 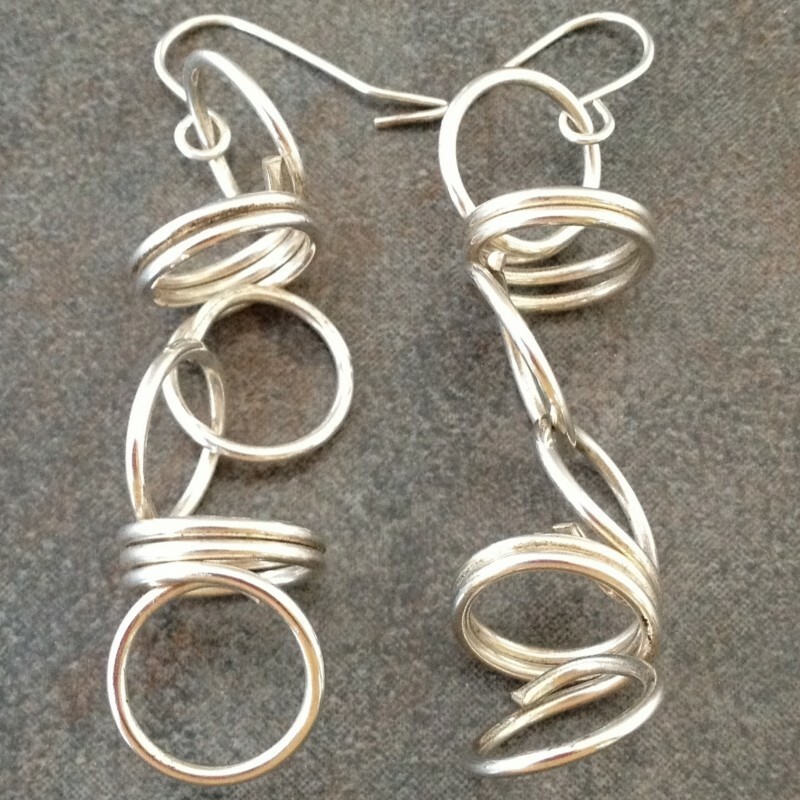 About 2 1/4" long and 1/2" wide. 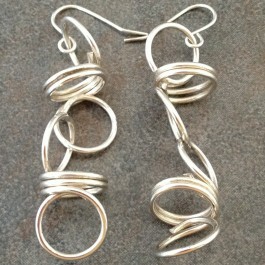 Complements our Sculptural Necklace.